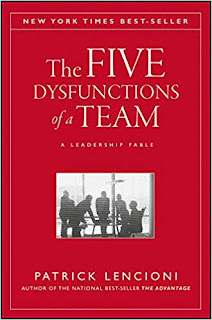 This is a spur-of-the-moment review of The 5 Dysfunctions of a Team, a business novel on team health that I've read today as part of the quarterly Professional Development Days I take as part of working at eLife. As a follow-up to my role evolution into Software Engineer in Tools and Infrastructure, I am looking again more into the people skills side of my job (as opposed to purely technical skills). I have done this cyclically during my career, as the coder hat becomes too restrictive and you have to pick up other tools to achieve improvement. In particular, I am working on eLife's Continuous Delivery platform and it is crucial to work with multiple product-oriented teams to have them adopt your latest Jenkins pipelines and Github reports. The dysfunctions are the flip side of these positive behaviors, for example lack of trust or fear of conflict. The definitions of some of these terms are more precise than what you find in many Agile and business coaching books; so don't dismiss trust as just a buzzword, for example. The case being treated in the book, which comes from the author's management consulting firm, is that of a CEO turning around a team of executives. This makes for a somewhat more fascinating view of results as it's talking about a (fictional) company's IPO or eventual bankruptcy. Despite not being a clear parallel to a software development team, I do think this is applicable in every situation where professionals are paid to work daily together, with some caveats. then there are personal motives that have to be addressed before teams can start thinking about collective health. Yes but, what can I do in practice? After the narrative part, an addendum to the book contains a self-administered test to zoom in on which possible dysfunctions your team may exhibit at the moment. It continues with a series of exercises and practices that address these topics, with an estimation of their time commitments or how difficult they would be to run. 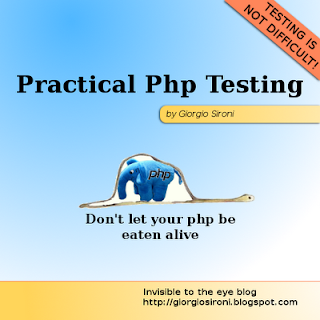 I definitely look forward to anonymously try out the test with my technical team, out of curiosity for other views. I think most of the dysfunctions are real patterns, that can only be exacerbated by the currently distorted market for software developers and CV-driven development. The last dysfunction, Inattention to results, is worth many books on its own on how to define those results as employees at all levels are known for optimizing around measurable goals to the detriment of, for example, long-term maintenance and quality. So don't start a crusade armed by this little book, but definitely keep this model in your toolbox and share it with your team to see if you can all identify areas for collective improvement; it is painfully obvious to say you can't work on this alone! The author is certainly right when writing that groups of people truly working together can accomplish what any assembly of single individuals could never dream of doing.